Most of us tend to believe that aluminum foils have no other usage than simply covering up food items. However, the truth is that the quintessential aluminum foil can have many other uses in and around the home as well. Here are a couple of those uses not many know even exist. You may not be around all the time to shoo away your pets from the furniture. Chances are that once you leave the home, your cat or dog would choose to have a field day on your favorite couch or sofa. 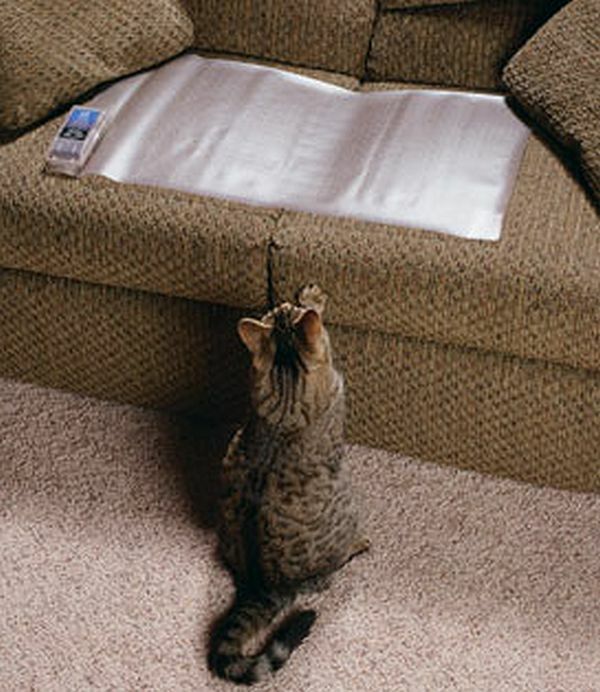 Try a simple trick with aluminum foil to keep them off the furniture even when you are not nearby. 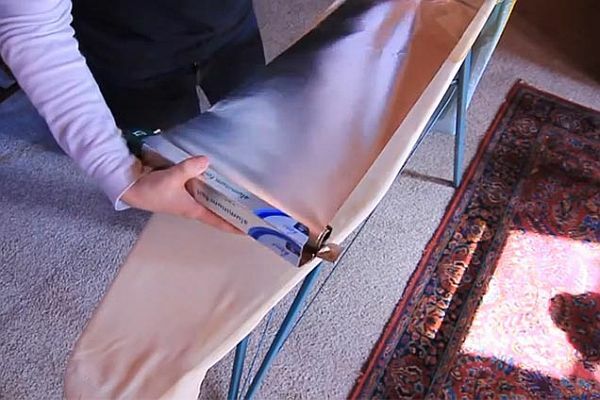 Simply place an aluminum sheet on the couch or table you want to protect. The crinkling sound the foil makes, whenever your pet steps on it, would be more than enough to drive them away. If you have a garden, make use of aluminum to chase away birds and other pests. Simply cut out strips of aluminum foil and hang them at regular intervals around the garden. The sight of the shiny sheets as well as their crinkling sound would drive away birds, animals and insects from feasting on your plants. 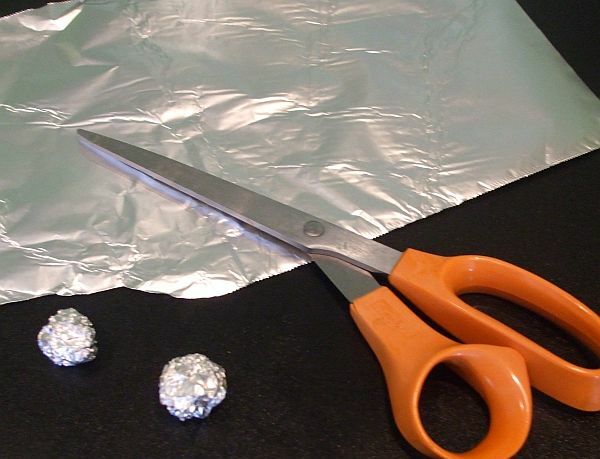 You can also roll up some aluminum foil into balls and place them at the entrance of cracks to ward off insects and rodents. The iron tends to develop a starchy build-up with time that would make the iron look ugly and stain your clothes as well. An easy way to remove this build-up would be to use aluminum foil. Simply place an aluminum foil on the table and run the iron over it. 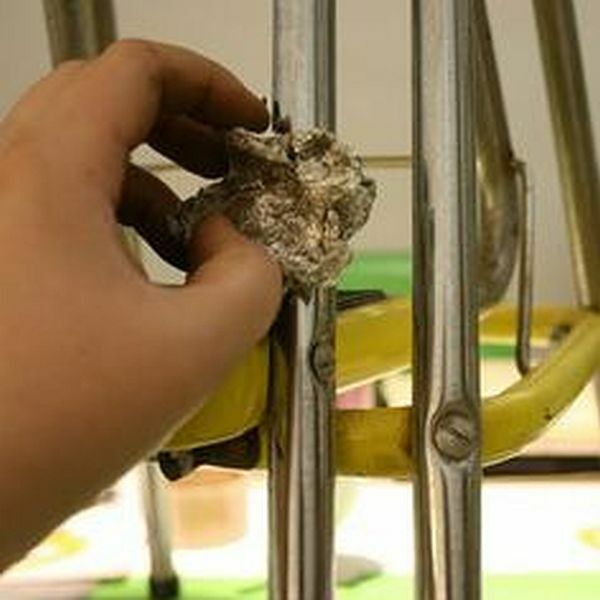 The heat from the iron would transfer the build-up to the foil, thus leaving behind a squeaky-clean iron. Some clothes are hard to iron, especially cotton garments that tend to develop wrinkles. One way to ease out these wrinkles and get an immaculately ironed dress is to place an aluminum foil beneath the ironing board cover. 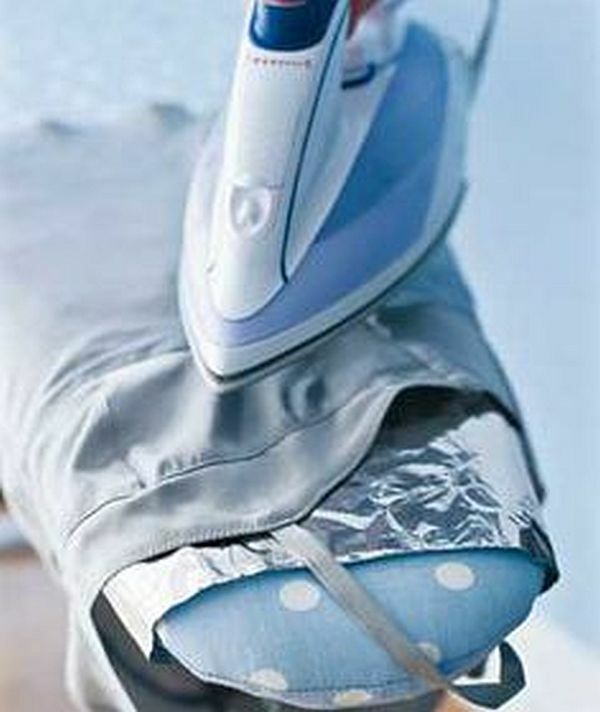 This will help the foil act as a reflector and heat the clothes, thus removing wrinkles easily. Silver and chrome items tend to lose their sheen or luster with time. Using something as simple as an aluminum foil, you can easily restore the shine on these items. All you need to do is crunch up the aluminum foil to form a ball, dip this ball in some water and then buff the chrome/silver items in order to remove the dust, dirt and rust. A few scrubs and your silver/chrome items would start sparkling like new. 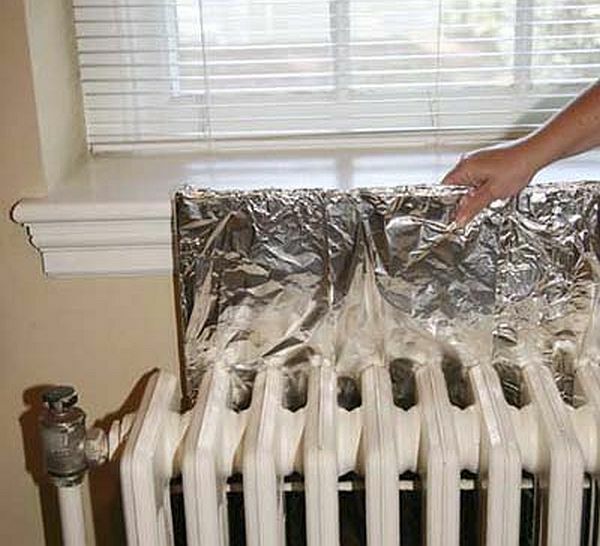 If you have an iron based room radiator, you can choose to improve its efficiency by simply using an aluminum foil sheet to reflect heat. Tape some aluminum foil with the shiny side out to an inflammable material. Place this arrangement behind the radiator. Now when you switch on the radiator, the heat emanating from it will reflect off the aluminum foil and heat up the room faster. If you have a loose spring in your remote, flashlight and controller, then instead of replacing it entirely, consider using an aluminum foil to strengthen the connection. 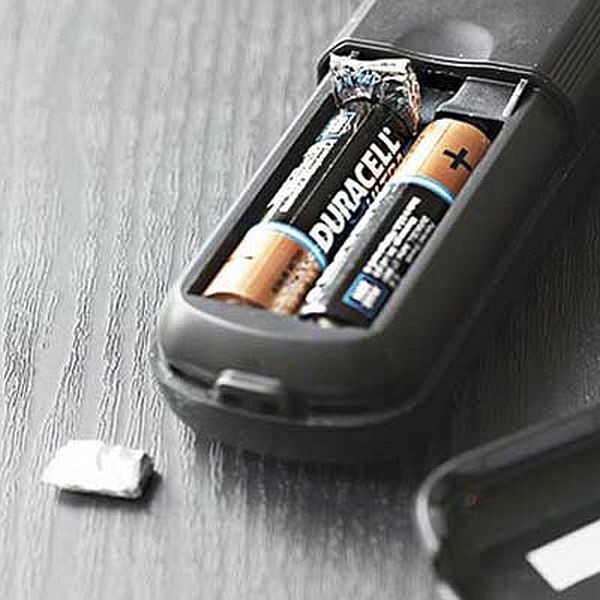 Fold the aluminum foil into a small piece that would fit into the battery compartment, right in between the spring and the battery. This way, the foil would complete the circuit and make your remote and flashlight work perfectly again. 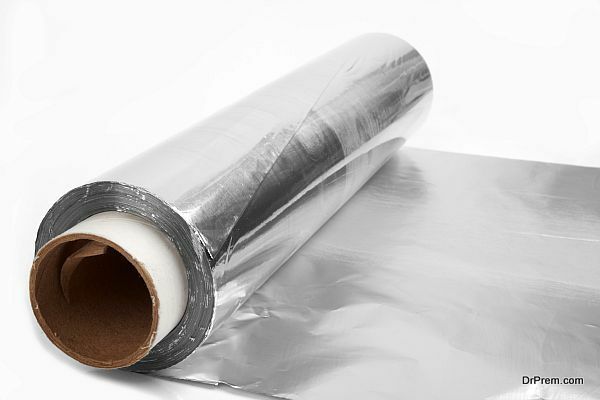 These are some of the common uses of aluminum foil in and around the home. So if you have some spare aluminum foil, do not throw it away. Rather, repurpose and use it for these as well as other similar applications in your home. BBQnique Buddy : Kitchen organizer!